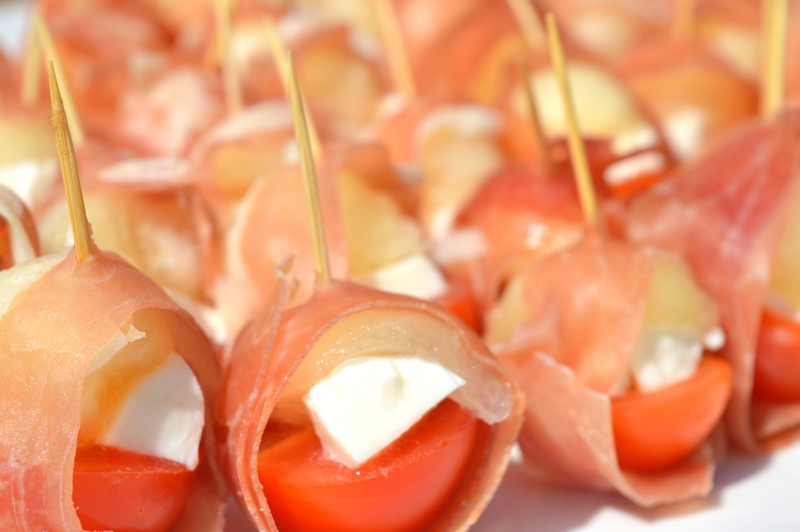 This appetiser is a great dish to serve at a summer party or barbecue and the combination of sweet and savoury flavours is a real treat for the tastebuds! Using a melon baller work through the honeydew melon. Set aside the melon balls while you prepare the other ingredients. 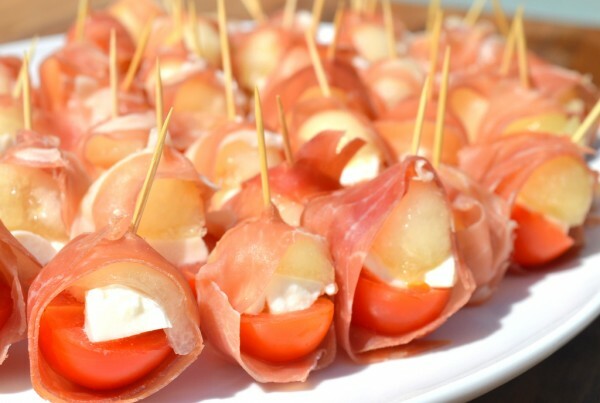 Cut each slice of prosciutto lengthways into three strips. Tear off a small amount of mozzerella and place on the flat side of one half of a cherry tomato. Place a melon ball on top. Hold them firmly enough to keep them together yet not so tight that you squeeze the melon or the tomato. Wrap a slice of prosciutto around all three. Secure by pushing a cocktail stick through. Chill until it is time to serve.